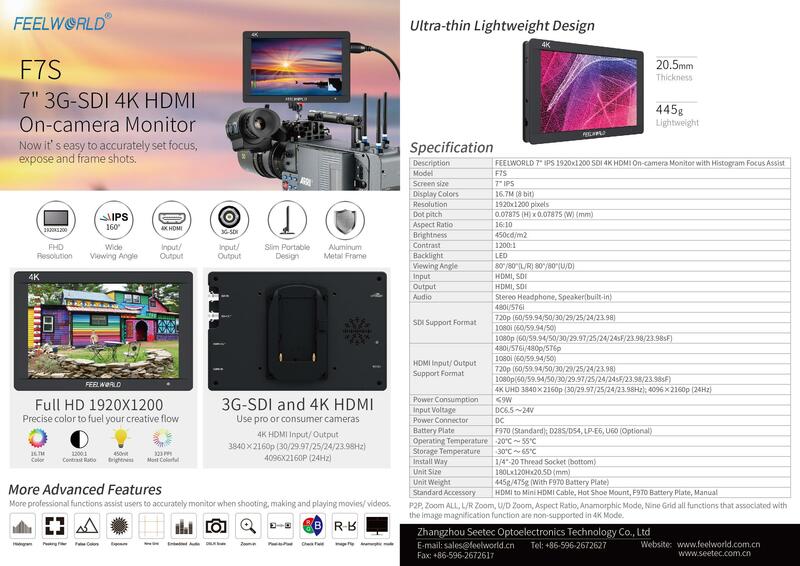 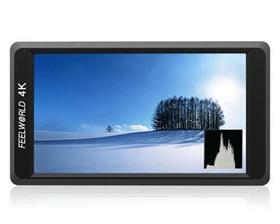 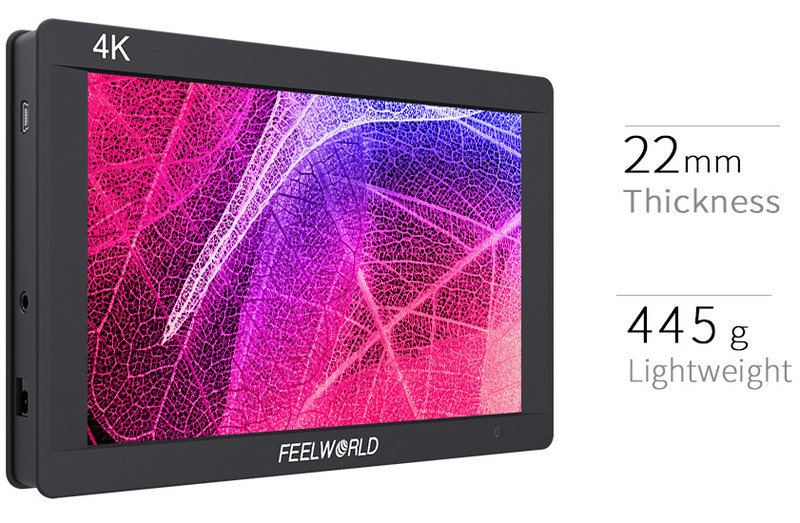 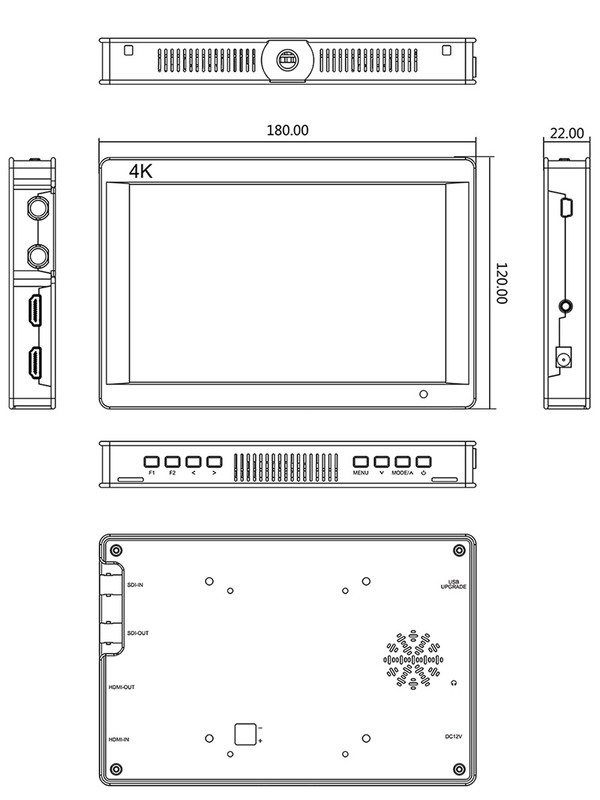 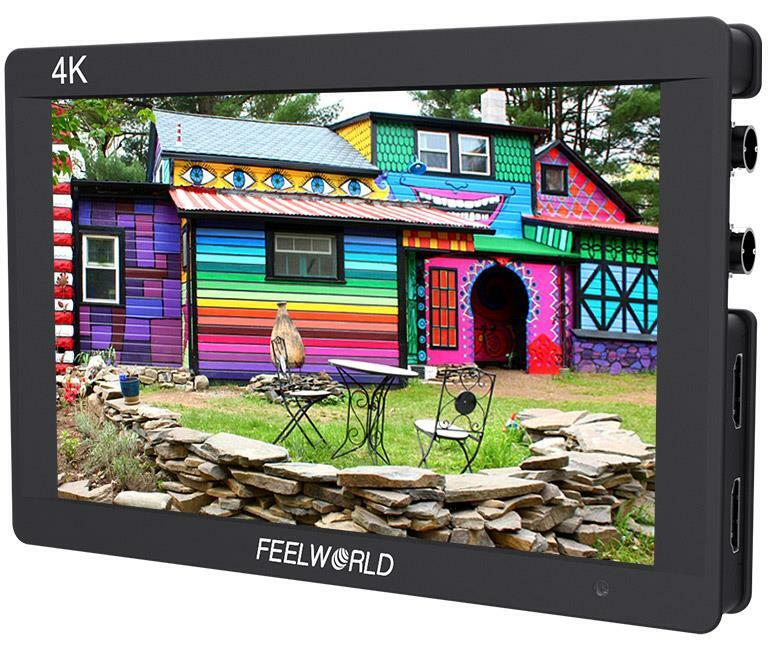 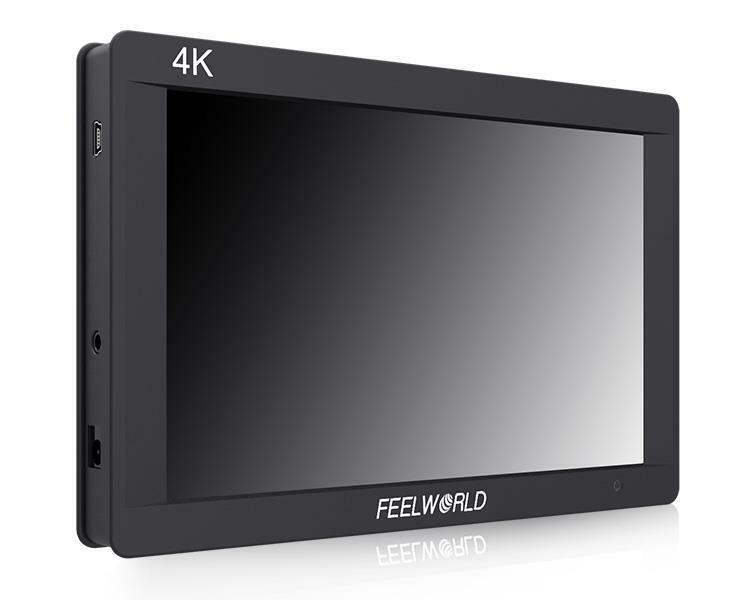 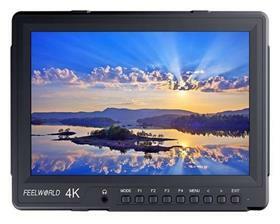 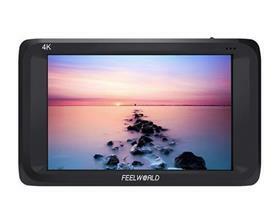 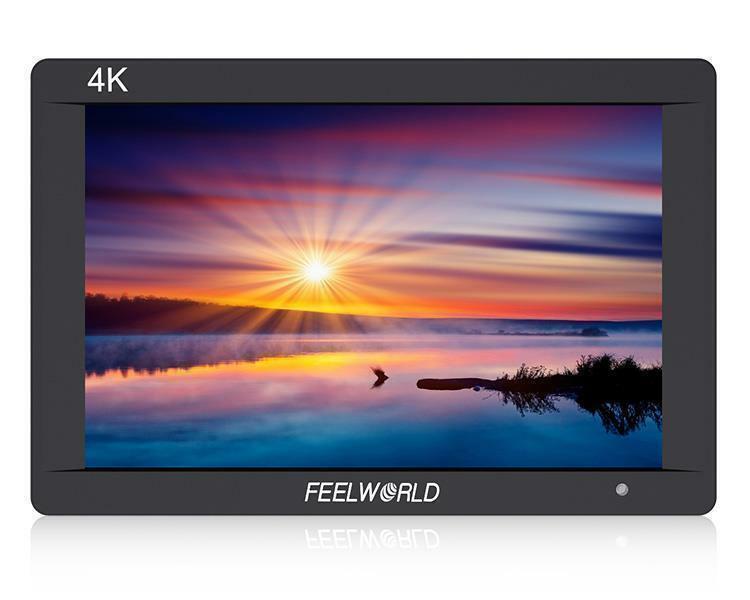 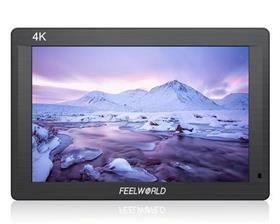 FEELWORLD F7S 4K monitor features "gold size" 7-inch full HD large screen, resolution 1920X1200, pixel density up to 323PPI. 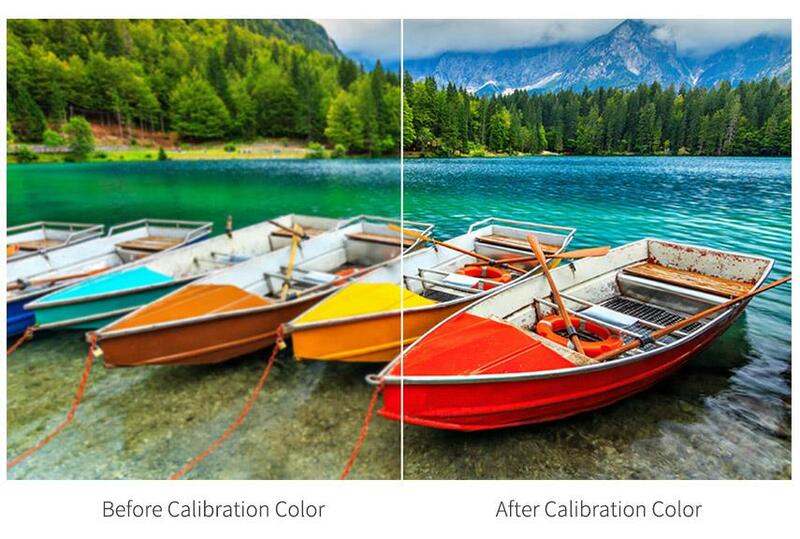 The outstanding image quality that allows you to achieve your "VISION". 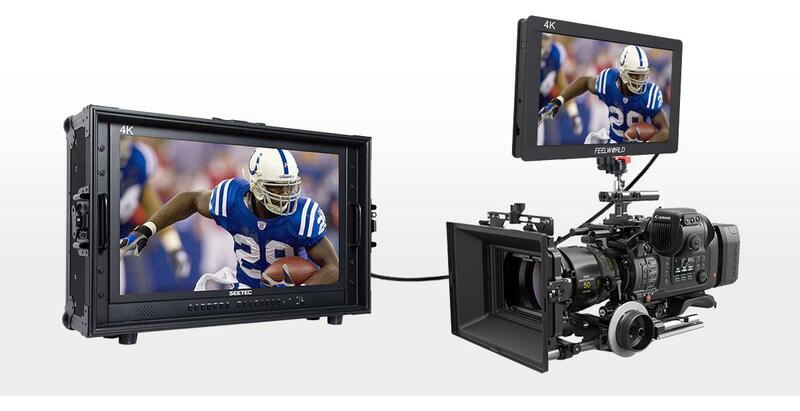 Viewing Angle become very important, as the camera operators may shift his/her position relative to the monitor during the shot. 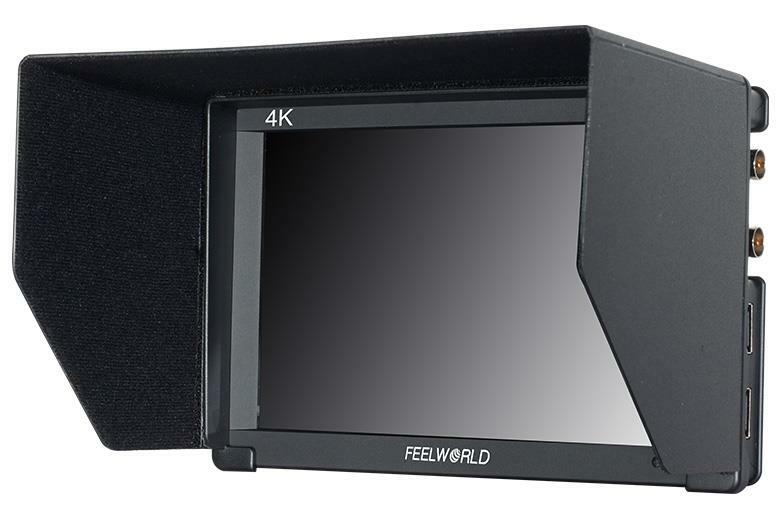 F7S IPS 160° wide viewing angle allows the operator to have a clear, easy-to-see image as their position shifts. 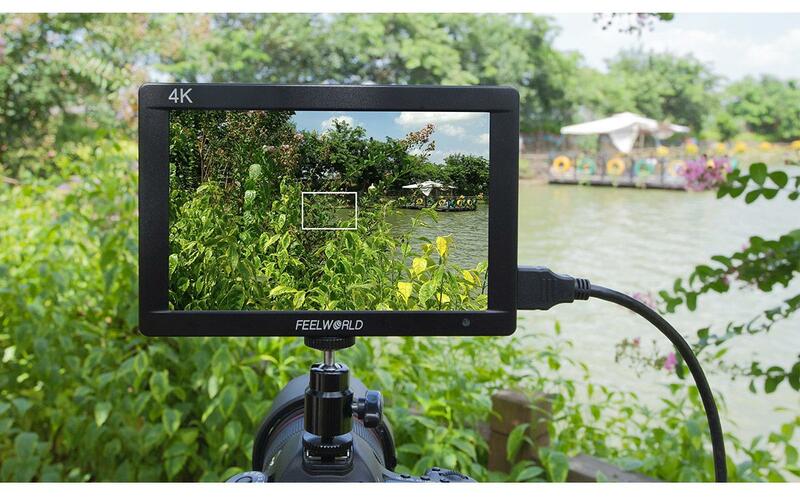 Specially designed to merge portability, and functionality, 22mm thickness, 445g lightweight, the F7S gives you freedom to shoot well anywhere. 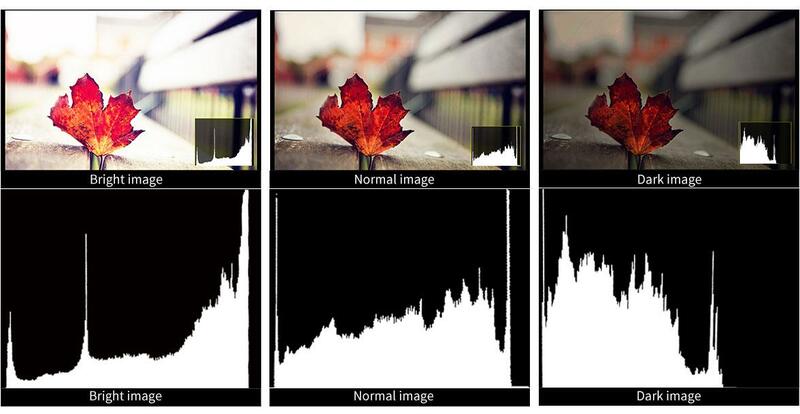 See your picture accurately, consistently and clearly, regardless of your position. 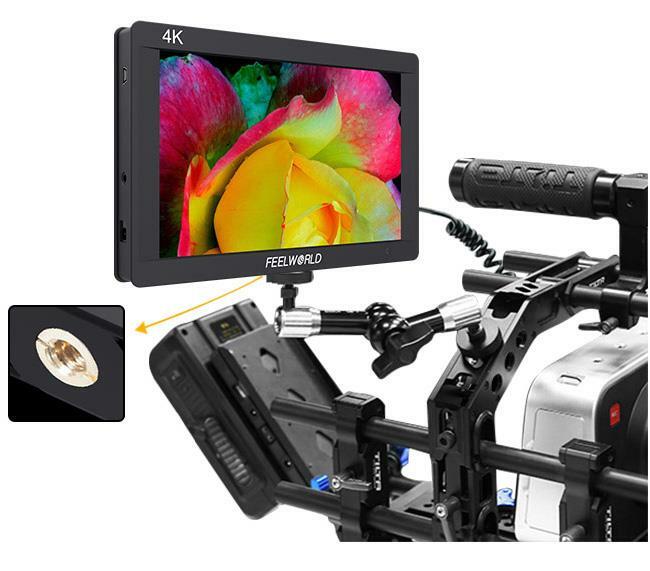 The compact design of the F7S includes 3G-SDI and 4K HDMI input/ output, USB Upgrade, 3.5mm Ear Phone Slot, Built-in Speaker. 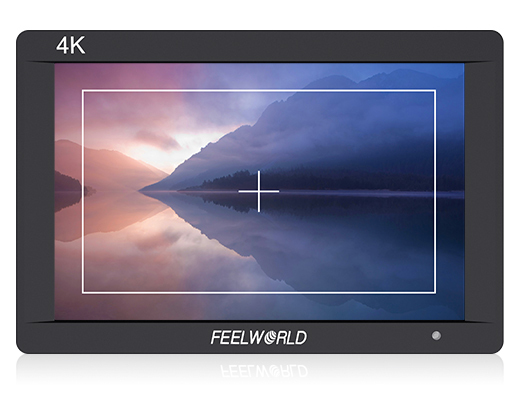 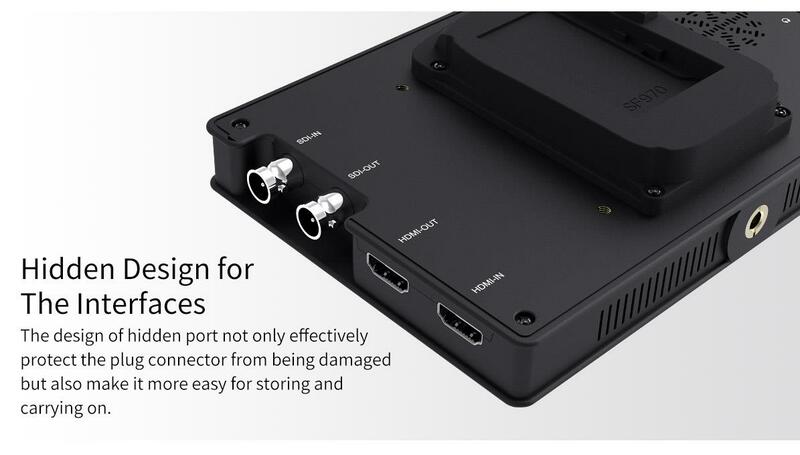 Its SDI Input supports all SD, HD and SDI formats up to 1080p 60Hz and HDMI input supports formats up to 4K 2160p 30Hz, perfect support for almost all signal. 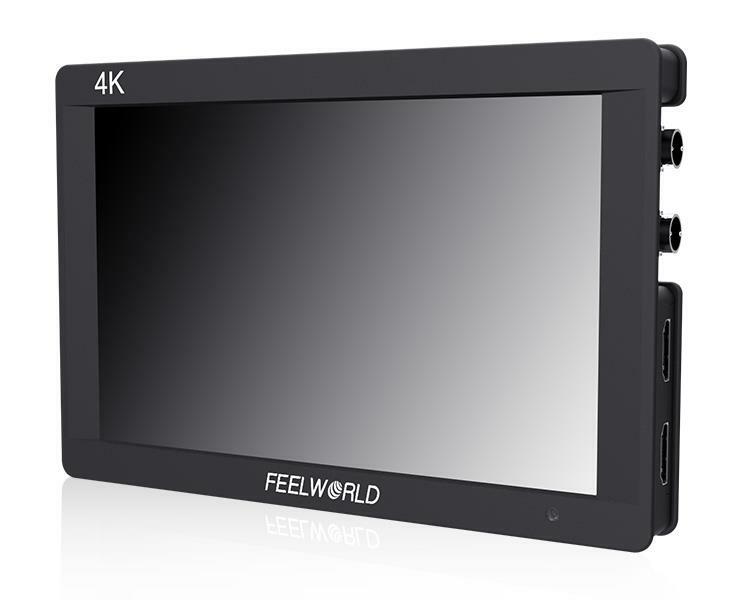 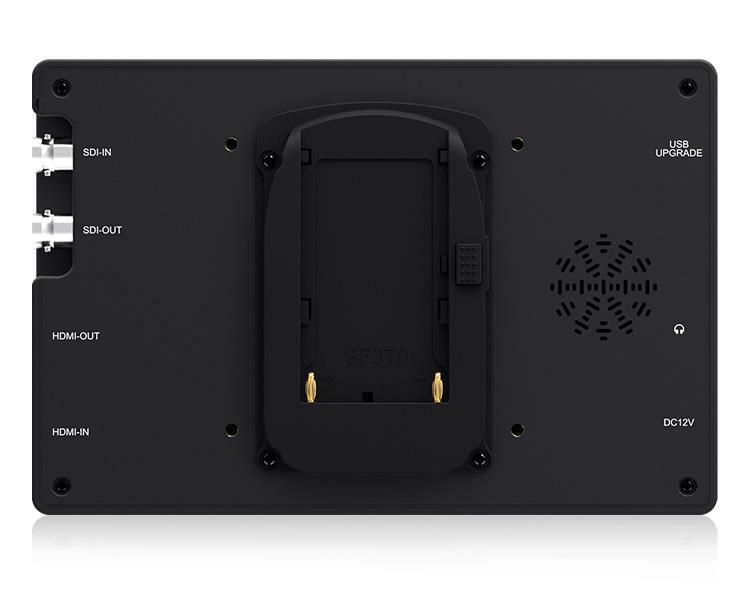 The F7S has 3G-SDI, 4K HDMI in and loop-out, allowing it to not only display live signals, but also send them out to other monitors simultaneously. 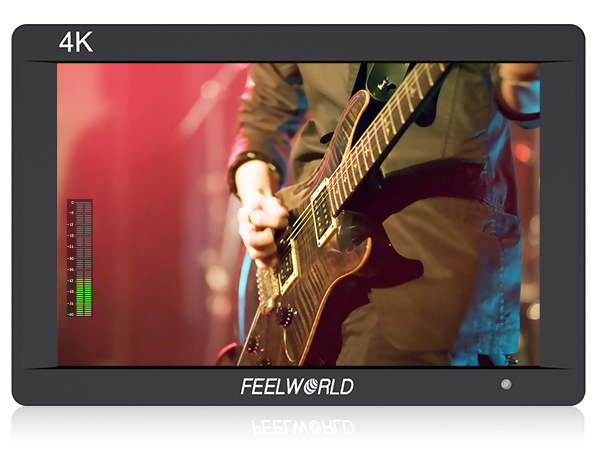 It's the ability to display live picture on multiple displays at once while still maintaining the original video quality. 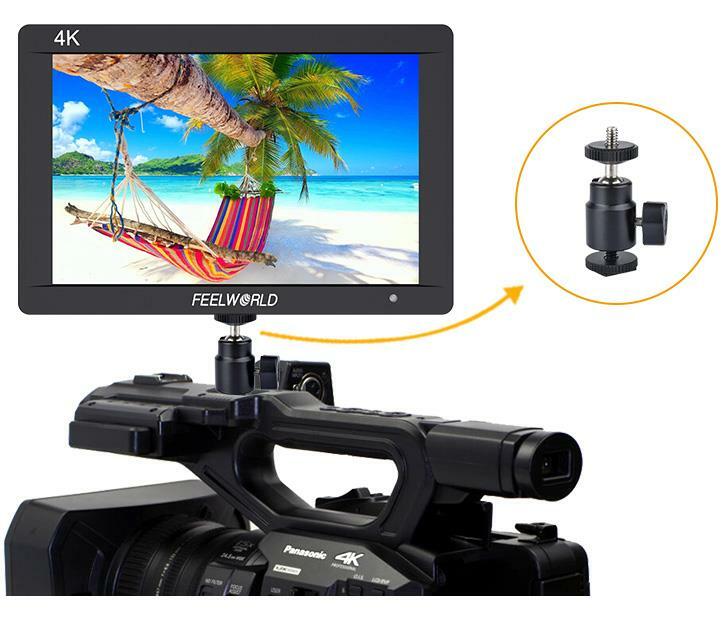 FEELWORLD F7S is equipped with standard 1/4 hole (bottom), easy to install DSLR Rig, Camcorder Kit, Handheld Stabilizer, Video Camera Crane, combined with image flip function, convenient for field shooting. 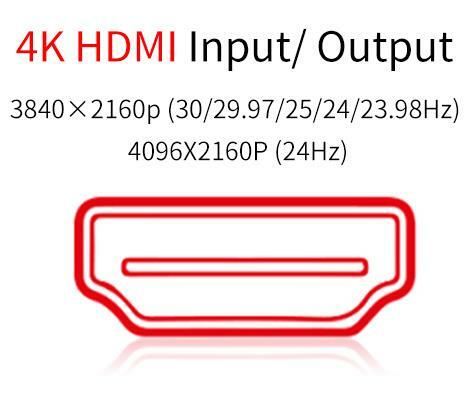 For easier viewing in bright environments. 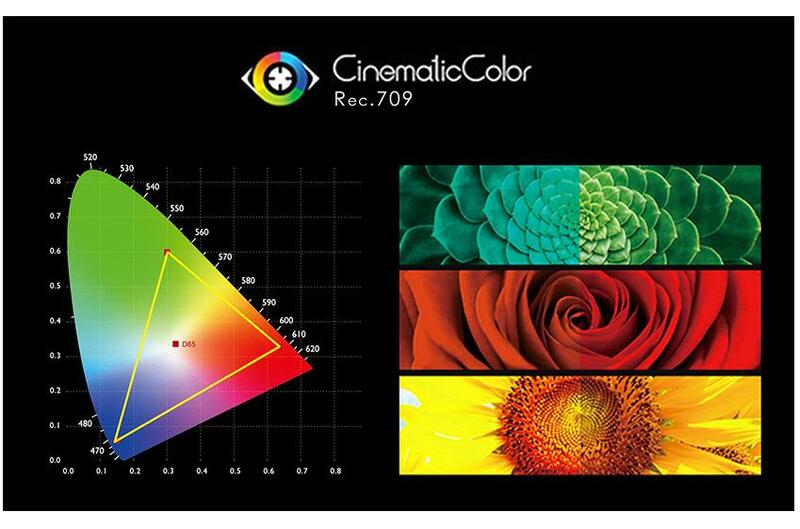 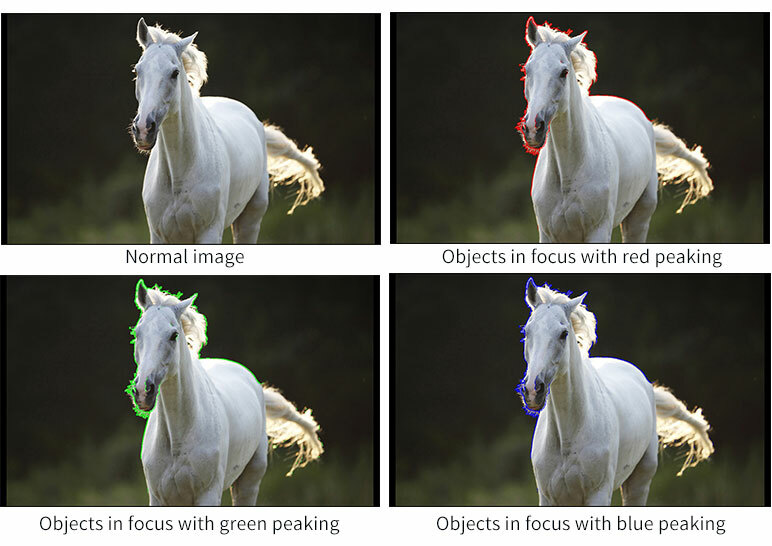 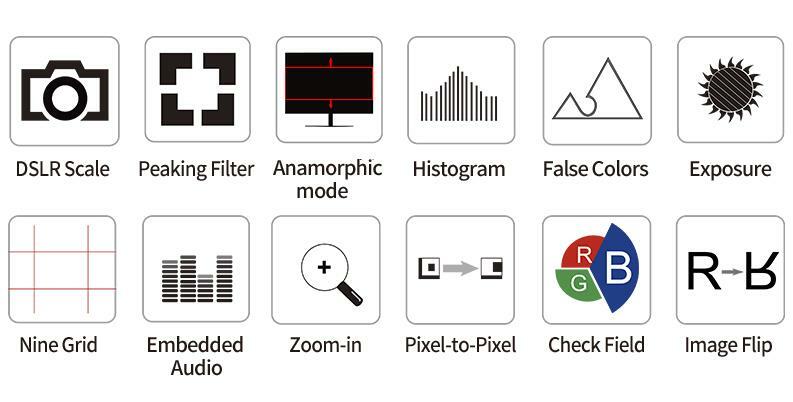 F7S offers an amazingly clear, bright image indoors or on-location with richer color saturation and contrast. 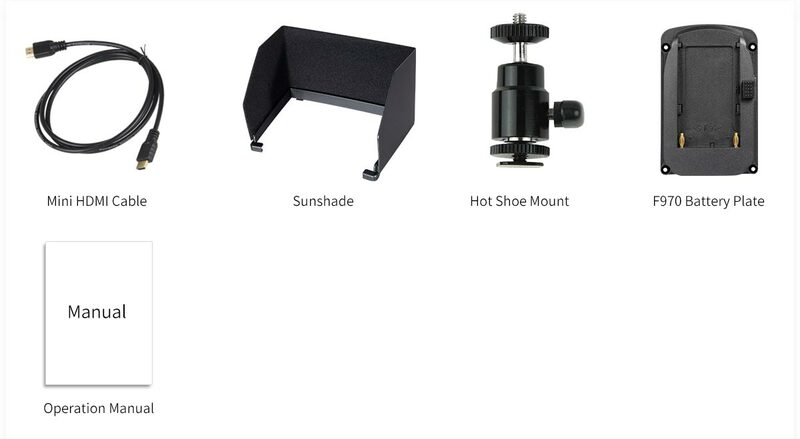 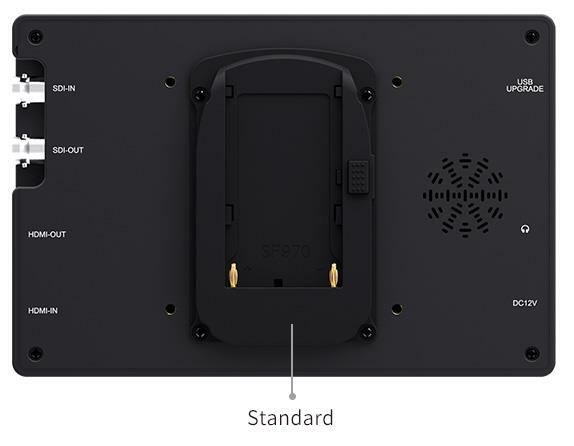 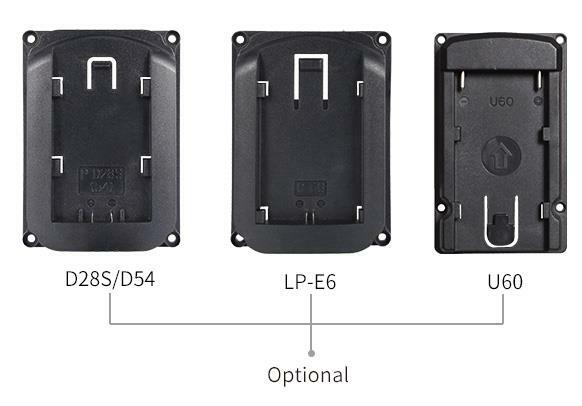 The F7S has a flexible battery system that supports F970 battery plate (standard), D28S/D54, LP-E6 and U60 battery plate (optional), and also can powered by power adapter (optional).